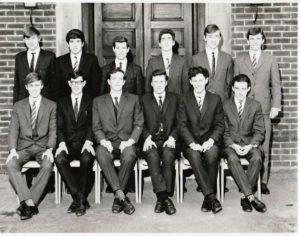 Chichester High School for Boys had remarkable success in the 1967 university entrance examinations and this group of a dozen boys all won places at Oxford or Cambridge. Please click on the photograph to enlarge it. 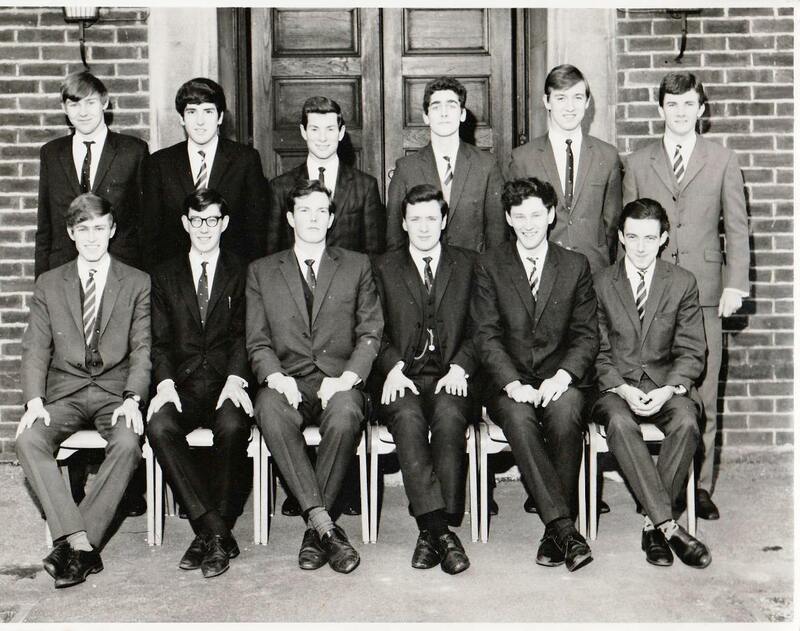 Seated: N. A. Allen, of Earnley, exhibition at Brasenose, Oxford, to read medicine; J. M. Stant, of Earnley, exhibition at Trinity College, Oxford, to read French and German; A. N. Grierson-Rickford, St. Catharine’s College, Cambridge, to read English: M. J. Noble, of Chichester, scholarship at Magdalen College, Oxford, to read botany; J. D. Martin, of Arundel, scholarship at Merton College,Oxford, to read mathematics; C. R. Moorey, of Arundel, exhibition at St. Catherine’s College, Oxford, to read English. Standing: A. A. Acton, Hertford College, Oxford, to read physics; K. R. Overton,Peterhouse, Cambridge, to read English; D. G. Shirt, New College, Oxford, to read physics; R. J. Lane, Sidney Sussex College, Cambridge, to read French andGerman; T. G. Cooper, St. Edmund Hall, Oxford, to read French and German;G. M. Williams, Gonville and Caius College, Cambridge, to read classics.